Out of a time of struggle and crisis had come new growth and success. Out of adversity had come blessing. The next time you find yourself in a season of desperation, take hope. Perhaps God is leading you into a time of new growth, of new direction. Have faith that there is a reason for the current difficulty you are experiencing. 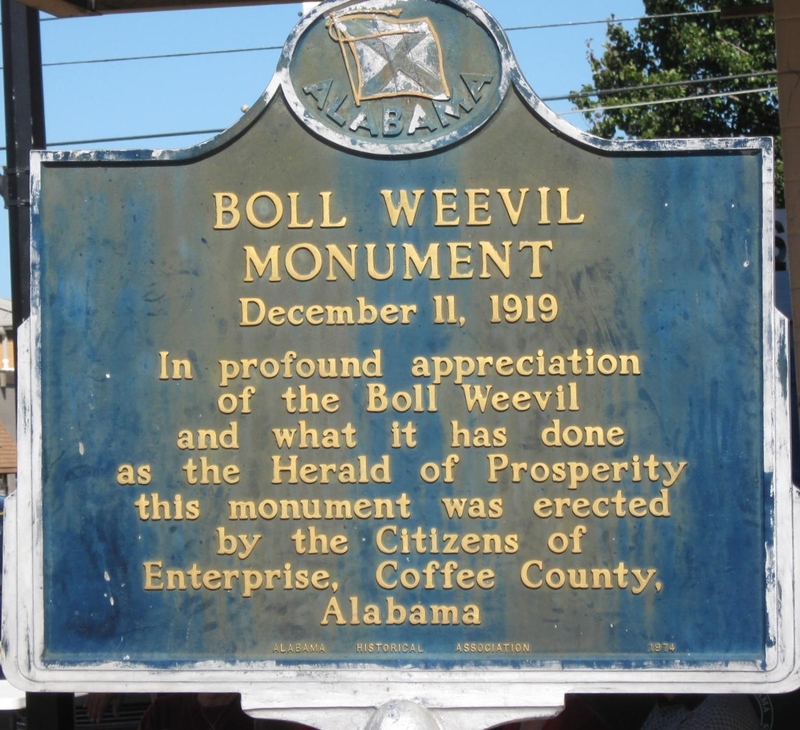 This entry was posted in Christian Living, Communion Meditations, Leadership and tagged boll weevil monument, enduring trials, God works for the good, hope, illustration, Romans 8:28, vision for the future. Bookmark the permalink.